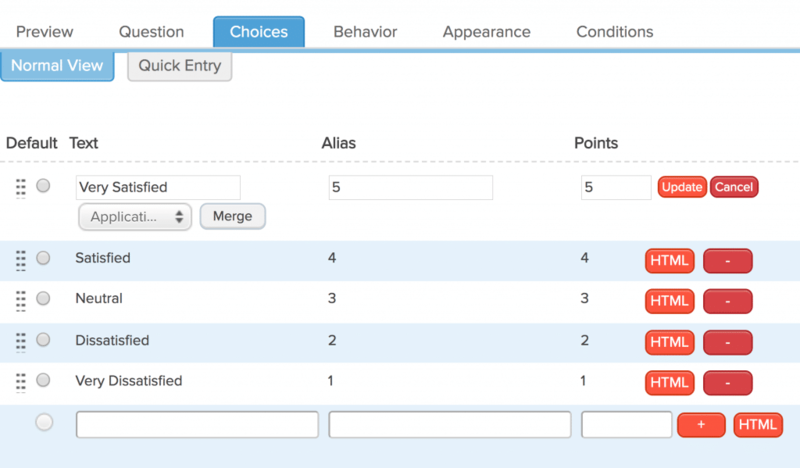 To add an Alias for a survey question, go into your survey editor, create or select your survey question, and go to the Behavior tab of that question. Enter your alternate or shortened question text in the Alias field and click Save. To add Alias values for your answer choices, go into your survey editor, create or select your survey question, and go to the Choices tab. Next to each answer choice, fill in your Alias text. 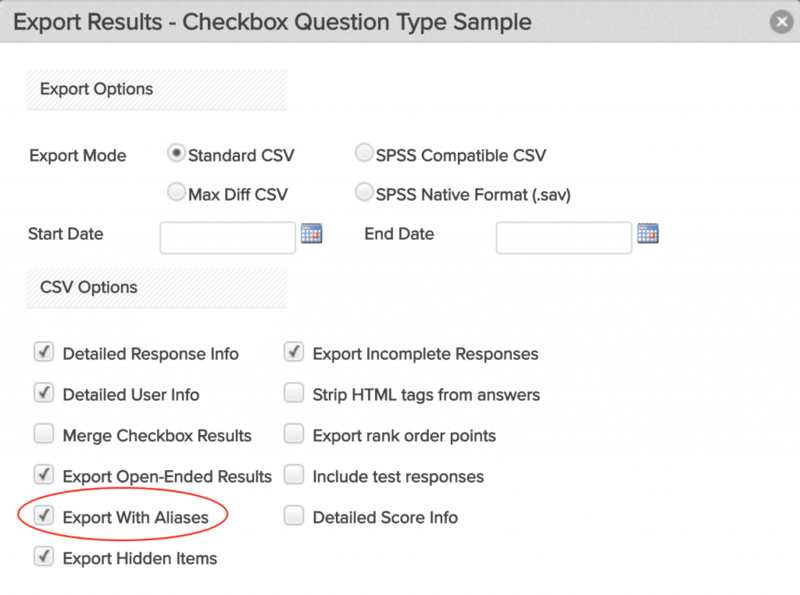 For scored surveys, if you’d like to export points for each answer choice instead of the answer text, enter the point value in the Alias and Points fields for each answer row. To export your responses and include your alias question and answer text, simply check off the option to “Export with Aliases” under Analyze -> Responses -> Export Responses. Note: If you’d like the Quick Export to always include Aliases, System Admins can change this default setting under System Settings -> Report Settings -> Response Export. To enable Alias Values on an existing report, edit your report, select the chart you’d like to enable Aliases for, and check off the “Use Aliases” option on the Behavior tab for that report. Note: System Admins can also require that Quick Reports always use Aliases by enabling the “Use Aliases” setting under System Settings -> Report Settings -> Report Preferences.